Millions of people are affected by someone else's excessive drinking. The Al-Anon/Alateen Family Groups are a fellowship of relatives and friends of alcoholics who share their experience, strength, and hope in order to solve their common problems. We believe alcoholism is a family illness and that changed attitudes can aid recovery. The only requirement for membership is that there be a problem of alcoholism in a relative or friend. Whether the alcoholic is still drinking or not, Al-Anon offers hope and recovery to all people affected by the alcoholism of a loved one or friend. 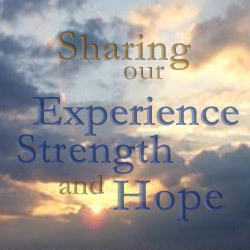 We share our experience, strength, and hope in order to solve our common problems. The following questions are designed to help you decide whether or not you would benefit by attending Al-Anon. 1. Do you worry about how much someone else drinks? If you have answered yes to any of these questions, Al-Anon or Alateen may be able to help. For more information on topics such as "What can I expect at an Al-Anon meeting?" or "What if I'm not ready to go to a meeting?" feel free to check out the About Al-Anon Family Group Meeting's page on the World Service Office's site. Looking for a meeting? Use the "Meeting List" link on the left sidebar. © Al-Anon Family Group Headquarters, Inc. 2011. All Rights Reserved.